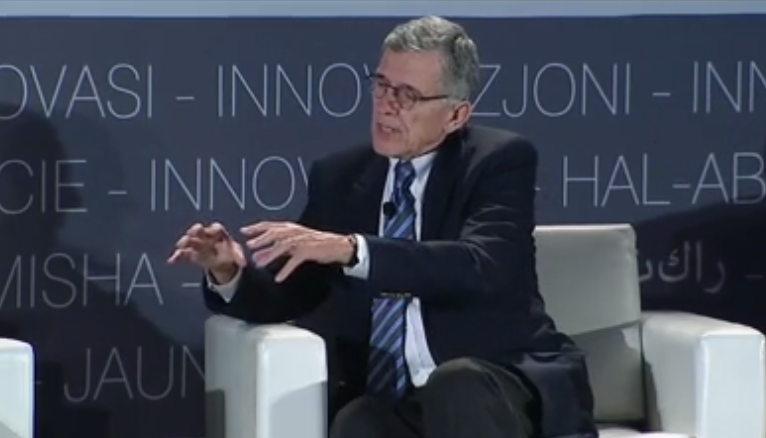 FCC Chairman Tom Wheeler spoke about a possible net neutrality rule during a CES conference. During an appearance at International CES this afternoon, FCC Chair Tom Wheeler gave indications that he’s leaning toward reclassifying broadband as part of his plan for net neutrality. The chairman’s revealing comments about the ongoing battle surrounding net neutrality came during a one-on-one discussion with Consumer Electronics Association president and CEO Gary Shapiro. Wheeler strongly hinted that he would propose a reclassification of ISPs and regulate them under Title II of the Communications Act, which would give the Commission the authority to regulate broadband as a vital piece of telecommunications infrastructure. It was this lack of authority that allowed Verizon to successfully challenge the 2010 neutrality guidelines, which prohibited any blocking, slowing down, or speeding up of data based on its origin. A proposal to reclassify ISPs would fall in-line with the urgings of consumer advocates and the White House, which have all previously called for the FCC to adopt Title II based regulations. Back in November, President Obama unexpectedly jumped into the fray over the hotly debated topic by releasing a statement that made it very clear the FCC should protect net neutrality by reclassifying broadband. The chairman’s comments on Wednesday appear to be in contrast with those he shared when the issue first came to the forefront last year. But Wheeler told Shapiro on Wednesday that during the FCC’s study of the issue, it became evident that the idea of “commercially reasonable” could be interpreted as what is reasonable for the ISPs, not for the consumer. “Because the issue here is how do we make sure that consumers and innovators have access to open networks,” he said. Wheeler illustrated his discussion on reclassification by describing his interaction with a company during CES. He said the company used an ethernet port in their router that has to go into the router of an ISP. In that specific case the ISP was offering a competitive service, but Wheeler said he now questions how the commission could make sure such pathways stay open. While Wheeler’s remarks appear to hint that he’s leaning toward reclassification, he tried to temper his pervious statement by saying he wasn’t actually providing specifics. “You’ll have to wait until February to see the specifics,” he told Shapiro. This month marks the one-year anniversary of the old rule being struck down. The FCC voted to consider a new proposal in May, but that suggestion version of the rule met with an overwhelming, highly critical response from millions, including two FCC commissioners. Wheeler’s stance on the proposal took a much more direct approach than that of FCC commissioners, who generally skirted the issue during a roundtable event at CES on Wednesday afternoon. 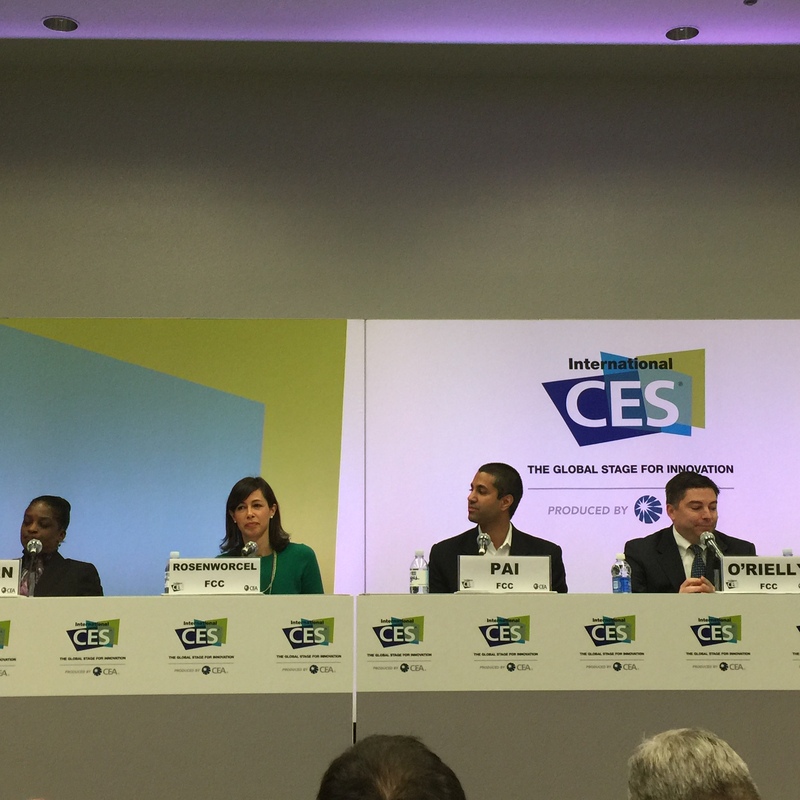 FCC commissioners attended a roundtable discussion at CES Wednesday afternoon. Commissioner Ajit Pai told a crowd of attendees that he thinks the President’s address in November drastically changed the landscape of net neutrality, but believes the FCC should make its own rules. Commissioner Mignon Clyburn said during the discussion that getting net neutrality right is the only option. “One of my takeaways and what drives me is big companies have lawyers and lobbyists, but the little guys only have text and Tweets,” she said. Commissioner Michael O’Rielly says he’s continuing to review information on net neutrality but looks forward to the weeks ahead. Wheeler said the commission should receive the proposal the week of February 5, with a vote following on February 26.